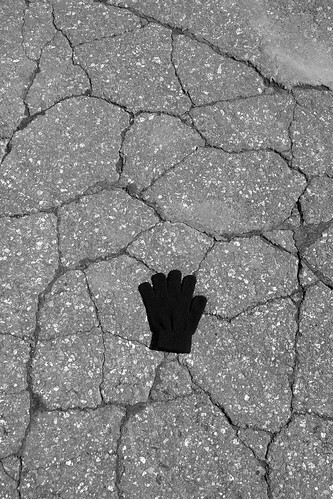 The saga of the lost glove, originally uploaded by The Bacher Family. Funny how you can photograph an event all day, with dozens of smiling kids on a field trip, including my son Daniel, sunshine, expansive landscapes, and snow, and at the end of the day, your favorite photo is a black and white version of a lost glove in a cracked parkinglot! I guess that's a sign that I'm becoming a "serious" photographer! Still, I loved this image the moment I spotted it in the parking lot at Paradise in Mount Rainier National Park. 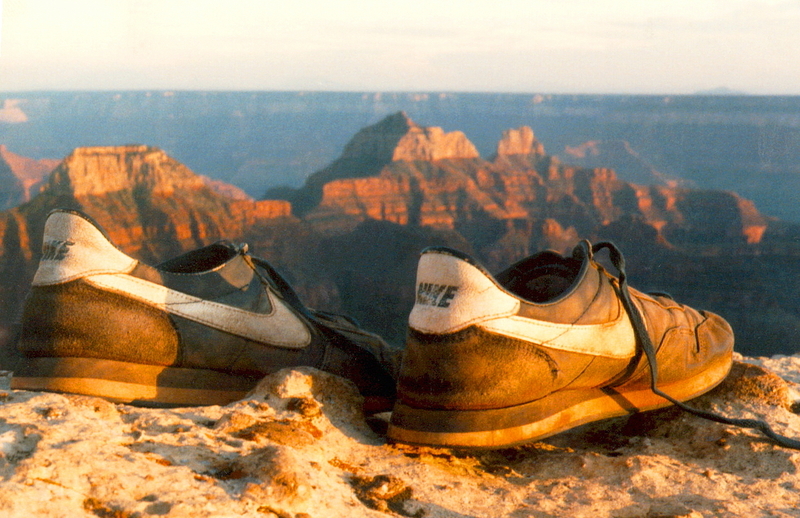 I didn't move the glove in any way from its original setting, just framed a shot as I found it. I love the textures and lines, and the contrast between them and the black cloth glove lying lost in the middle. The original photo was in color, but it looked almost identical in black and white--except that black and white gave greater freedom to experiment with different tone balances, providing ultimately an even richer sense of "color" than I started with.